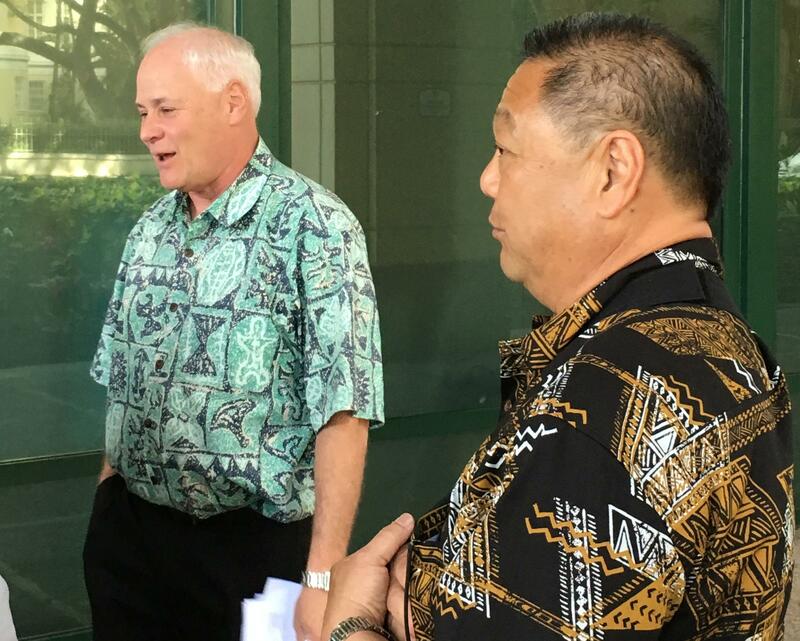 HART Executive Director Andrew Robbins, left, and Board Chair Damien Kim speak to reporters about the latest subpoena in the continuing federal probe into the transit agency. The records request suggests a broadening probe by the federal grand jury looking into the authority's construction of the city's $9.2 billion, 20-mile elevated railway that has been plagued by cost overruns and delays. HART received two previous subpoenas, the first earlier this month that revealed the federal investigation and requested roughly 30,000 documents covering the building of the rail system. A second subpoena called for information about the real estate services required to acquire and relocate homes and businesses to build the rail system. HART acknowledged it "may have overspent on relocating residences and businesses in the part of the rail line" and said it reported this to the Federal Transit Administration. Andrew Robbins, the agency's executive director, said earlier the overpayments may have amounted to about $4 million and that the agency essentially reimbursed the federal government for that sum, drawing from local funds. The HART board is scheduled to meet on Thursday when it is expected to take up the subpoenas.